In addition to being regulated by the Fair Debt Collection Practices Act (FDCPA), California collection agencies are also regulated by California debt collection laws. Discover: California collection requirements, bad check laws (NSF), statutes of limitations for both debts and judgments, garnishments plus California collection agency license and bonding information. Amount due, treble damages – minimum $100 maximum $1500 per check. See federal law. Exemptions for necessaties of life. No license or bond required. This title may be cited as the Rosenthal Fair Debt Collection Practices Act. (1) The banking and credit system and grantors of credit to consumers are dependent upon the collection of just and owing debts. Unfair or deceptive collection practices undermine the public confidence which is essential to the continued functioning of the banking and credit system and sound extensions of credit to consumers. (2) There is need to ensure that debt collectors and debtors exercise their responsibilities to one another with fairness, honesty and due regard for the rights of the other. (b) It is the purpose of this title to prohibit debt collectors from engaging in unfair or deceptive acts or practices in the collection of consumer debts and to require debtors to act fairly in entering into and honoring such debts, as specified in this title. (a) Definitions and rules of construction set forth in this section are applicable for the purpose of this title. (b) The term “debt collection” means any act or practice in connection with the collection of consumer debts. (c) The term “debt collector” means any person who, in the ordinary course of business, regularly, on behalf of himself or herself or others, engages in debt collection. The term includes any person who composes and sells, or offers to compose and sell, forms, letters, and other collection media used or intended to be used for debt collection, but does not include an attorney or counselor at law. (d) The term “debt” means money, property or their equivalent which is due or owing or alleged to be due or owing from a natural person to another person. (e) The term “consumer credit transaction” means a transaction between a natural person and another person in which property, services or money is acquired on credit by that natural person from such other person primarily for personal, family, or household purposes. (f) The terms “consumer debt” and “consumer credit” mean money, property or their equivalent, due or owing or alleged to be due or owing from a natural person by reason of a consumer credit transaction. (g) The term “person” means a natural person, partnership, corporation, limited liability company, trust, estate, cooperative, association or other similar entity. (h) Except as provided in Section 1788.18, the term “debtor” means a natural person from whom a debt collector seeks to collect a consumer debt which is due and owing or alleged to be due and owing from such person. (i) The term “creditor” means a person who extends consumer credit to a debtor. (j) The term “consumer credit report” means any written, oral or other communication of any information by a consumer reporting agency bearing on a consumer’s creditworthiness, credit standing, credit capacity, character, general reputation, personal characteristics or mode of living which is used or expected to be used or collected in whole or in part for the purpose of serving as a factor in establishing the consumer’s eligibility for (1) credit or insurance to be used primarily for person, [FN1] family, or household purposes, or (2) employment purposes, or (3) other purposes authorized under any applicable federal or state law or regulation. The term does not include (a) any report containing information solely as to transactions or experiences between the consumer and the person making the report; (b) any authorization or approval of a specific extension of credit directly or indirectly by the issuer of a credit card or similar device; or (c) any report in which a person who has been requested by a third party to make a specific extension of credit directly or indirectly to a consumer conveys his or her decision with respect to that request, if the third party advises the consumer of the name and address of the person to whom the request was made and such person makes the disclosures to the consumer required under any applicable federal or state law or regulation. (k) The term “consumer reporting agency” means any person which, for monetary fees, dues, or on a cooperative nonprofit basis, regularly engages, in whole or in part, in the practice of assembling or evaluating consumer credit information or other information on consumers for the purpose of furnishing consumer credit reports to third parties, and which uses any means or facility for the purpose of preparing or furnishing consumer credit reports. Nothing contained in this title shall be construed to prohibit a credit union chartered under Division 5 (commencing with Section 14000) of the Financial Code or under the Federal Credit Union Act (Chapter 14 (commencing with Section 1751) of Title 12 of the United States Code) from providing information to an employer when the employer is ordinarily and necessarily entitled to receive such information because he is an employee, officer, committee member, or agent of such credit union. (f) The threat to take any action against the debtor which is prohibited by this title. (e) Communicating, by telephone or in person, with the debtor with such frequency as to be unreasonable and to constitute an harassment to the debtor under the circumstances. (a) Communicating with the debtor’s employer regarding the debtor’s consumer debt unless such a communication is necessary to the collection of the debt, or unless the debtor or his attorney has consented in writing to such communication. A communication is necessary to the collection of the debt only if it is made for the purposes of verifying the debtor’s employment, locating the debtor, or effecting garnishment, after judgment, of the debtor’s wages, or in the case of a medical debt for the purpose of discovering the existence of medical insurance. Any such communication, other than a communication in the case of a medical debt by a health care provider or its agent for the purpose of discovering the existence of medical insurance, shall be in writing unless such written communication receives no response within 15 days and shall be made only as many times as is necessary to the collection of the debt. Communications to a debtor’s employer regarding a debt shall not contain language that would be improper if the communication were made to the debtor. One communication solely for the purpose of verifying the debtor’s employment may be oral without prior written contact. (d) Communicating with the debtor by means of a written communication that displays or conveys any information about the consumer debt or the debtor other than the name, address and telephone number of the debtor and the debt collector and which is intended both to be seen by any other person and also to embarrass the debtor. (e) Notwithstanding the foregoing provisions of this section, the disclosure, publication or communication by a debt collector of information relating to a consumer debt or the debtor to a consumer reporting agency or to any other person reasonably believed to have a legitimate business need for such information shall not be deemed to violate this title. (l) Any communication by a licensed collection agency to a debtor demanding money unless the claim is actually assigned to the collection agency. “The use of any written communication which simulates or is falsely represented to be a document authorized, issued or approved by a court or agency of any federal, state or local government;”. (c) Initiating communications, other than statements of account, with the debtor with regard to the consumer debt, when the debt collector has been previously notified in writing by the debtor’s attorney that the debtor is represented by such attorney with respect to the consumer debt and such notice includes the attorney’s name and address and a request by such attorney that all communications regarding the consumer debt be addressed to such attorney, unless the attorney fails to answer correspondence, return telephone calls, or discuss the obligation in question. This subdivision shall not apply where prior approval has been obtained from the debtor’s attorney, or where the communication is a response in the ordinary course of business to a debtor’s inquiry. (a) No debt collector shall collect or attempt to collect a consumer debt by means of judicial proceedings when the debt collector knows that service of process, where essential to jurisdiction over the debtor or his property, has not been legally effected. (b) No debt collector shall collect or attempt to collect a consumer debt, other than one reduced to judgment, by means of judicial proceedings in a county other than the county in which the debtor has incurred the consumer debt or the county in which the debtor resides at the time such proceedings are instituted, or resided at the time the debt was incurred. It is unlawful, with respect to attempted collection of a consumer debt, for a debt collector, creditor, or an attorney, to send a communication which simulates legal or judicial process or which gives the appearance of being authorized, issued, or approved by a governmental agency or attorney when it is not. Any violation of the provisions of this section is a misdemeanor punishable by imprisonment in the county jail not exceeding six months, or by a fine not exceeding two thousand five hundred dollars ($2,500) or by both. Notwithstanding any other provision of this title, every debt collector collecting or attempting to collect a consumer debt shall comply with the provisions of Sections 1692b to 1692j, inclusive, of, and shall be subject to the remedies in Section 1692k of, Title 15 of the United States Code. However, subsection (11) of Section 1692e and Section 1692g shall not apply to any person specified in paragraphs (A) and (B) of subsection (6) of Section 1692a of Title 15 of the United States Code or that person’s principal. The references to federal codes in this section refer to those codes as they read January 1, 2001. (1) A copy of a police report filed by the debtor alleging that the debtor is the victim of an identity theft crime, including, but not limited to, a violation of Section 530.5 of the Penal Code, for the specific debt being collected by the debt collector. (2) The debtor’s written statement that the debtor claims to be the victim of identity theft with respect to the specific debt being collected by the debt collector. (1) A Federal Trade Commission’s Affidavit of Identity Theft. (2) A written statement that contains the content of the Identity Theft Victim’s Fraudulent Account Information Request offered to the public by the California Office of Privacy Protection. 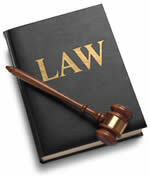 (A) A statement that the debtor is a victim of identity theft. (B) A copy of the debtor’s driver’s license or identification card, as issued by the state. (C) Any other identification document that supports the statement of identity theft. (D) Specific facts supporting the claim of identity theft, if available. (E) Any explanation showing that the debtor did not incur the debt. (F) Any available correspondence disputing the debt after transaction information has been provided to the debtor. (G) Documentation of the residence of the debtor at the time of the alleged debt. This may include copies of bills and statements, such as utility bills, tax statements, or other statements from businesses sent to the debtor, showing that the debtor lived at another residence at the time the debt was incurred. (H) A telephone number for contacting the debtor concerning any additional information or questions, or direction that further communications to the debtor be in writing only, with the mailing address specified in the statement. (I) To the extent the debtor has information concerning who may have incurred the debt, the identification of any person whom the debtor believes is responsible. (J) An express statement that the debtor did not authorize the use of the debtor’s name or personal information for incurring the debt. “I certify the representations made are true, correct, and contain no material omissions of fact. (c) If a debtor notifies a debt collector orally that he or she is a victim of identity theft, the debt collector shall notify the debtor, orally or in writing, that the debtor’s claim must be in writing. If a debtor notifies a debt collector in writing that he or she is a victim of identity theft, but omits information required pursuant to subdivision (a) or, if applicable, the certification required pursuant to paragraph (3) of subdivision (b), if the debt collector does not cease collection activities, the debt collector shall provide written notice to the debtor of the additional information that is required, or the certification required pursuant to paragraph (3) of subdivision (b), as applicable, or send the debtor a copy of the Federal Trade Commission’s Affidavit of Identity Theft form. (d) Upon receipt of the complete statement and information described in subdivision (a), the debt collector shall review and consider all of the information provided by the debtor and other information available to the debt collector in its file or from the creditor. The debt collector may recommence debt collection activities only upon making a good faith determination that the information does not establish that the debtor is not responsible for the specific debt in question. The debt collector’s determination shall be made in a manner consistent with the provisions of subsection (1) of Section 1692 of Title 15 of the United States Code, as incorporated by Section 1788.17 of this code. The debt collector shall notify the debtor in writing of that determination and the basis for that determination before proceeding with any further collection activities. The debt collector’s determination shall be based on all of the information provided by the debtor and other information available to the debt collector in its file or from the creditor. (e) No inference or presumption that the debt is valid or invalid, or that the debtor is liable or not liable for the debt, shall arise if the debt collector decides after the review described in subdivision (d) to cease or recommence the debt collection activities. The exercise or nonexercise of rights under this section is not a waiver of any other right or defense of the debtor or debt collector. (f) The statement and supporting documents that comply with subdivision (a) may also satisfy, to the extent those documents meet the requirements of, the notice requirement of paragraph (5) of subdivision (c) of Section 1798.93. (1) If the debt collector has furnished adverse information to a consumer credit reporting agency, notify the agency to delete that information. (2) Notify the creditor that debt collection activities have been terminated based upon the debtor’s claim of identity theft. (h) A debt collector who has possession of documents that the debtor is entitled to request from a creditor pursuant to Section 530.8 of the Penal Code is authorized to provide those documents to the debtor. (i) Notwithstanding subdivision (h) of Section 1788.2, for the purposes of this section, “debtor” means a natural person, firm, association, organization, partnership, business trust, company, corporation, or limited liability company from which a debt collector seeks to collect a debt that is due and owing or alleged to be due and owing from the person or entity. The remedies provided by this title shall apply equally to violations of this section. Knowing and abiding to the proper California debt collection laws is important for both creditors and collection agencies alike. There are debtor’s rights attorneys who are just waiting for creditors or collection agencies to slip up. If you mistakenly violate the California debt collection laws, you could create a liability for your business and even open yourself up to a expensive lawsuit. Please note: California debt collection laws can change over time, and you need to consult with an attorney before you use this information.